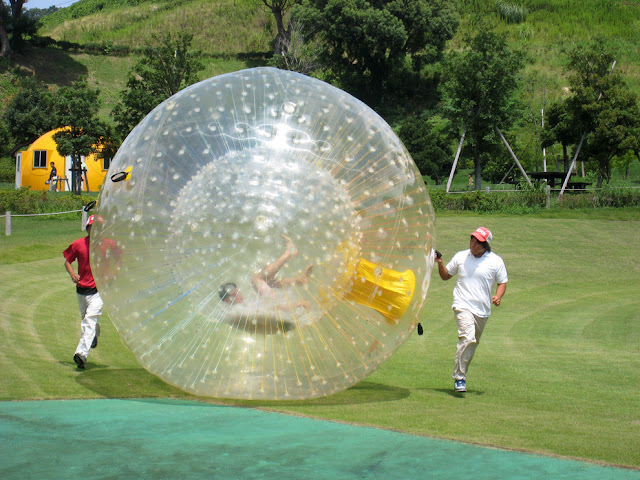 There's no way rolling down a hill in a giant plastic bubble isn't the most fun ever. Some versions of the sport feature a large ramp or zorbing on water. 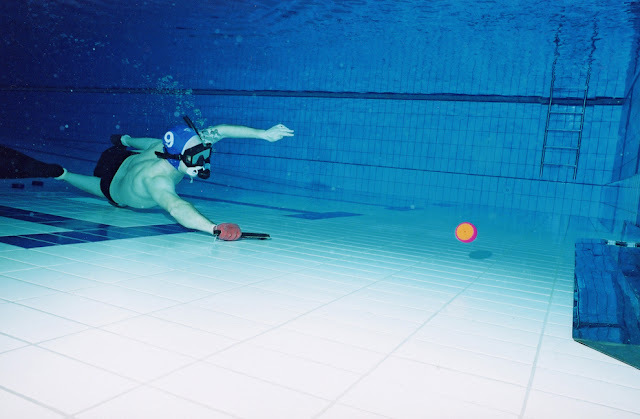 Octopush is simply underwater hockey, most commonly played at the bottom of large swimming pools. Instead of hockey sticks, players push the weighted puck around with small handheld sticks. 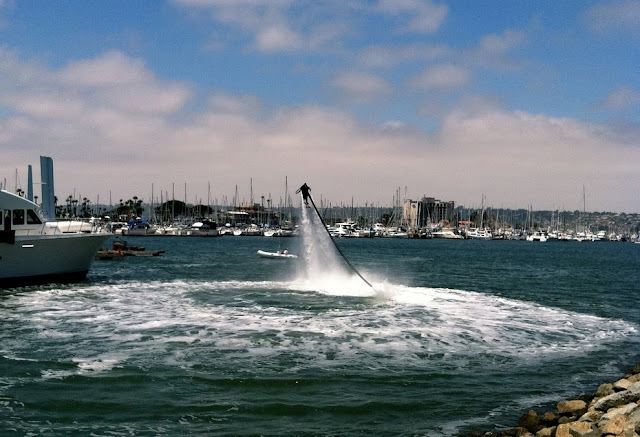 More of a thrill ride than an actual sport, water jet packing allows you to feel the sensation of flying at the push of button. Jet pack wearers are propelled several feet in the air by four motors that push water out from under them. 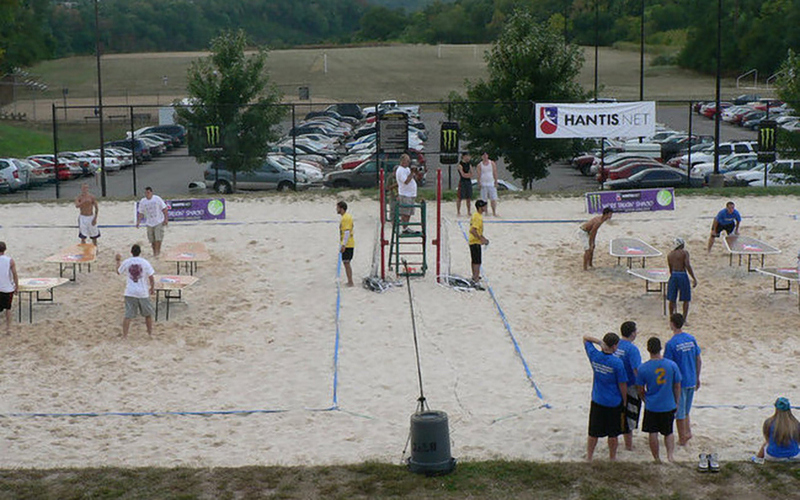 Think ping pong, without the paddles. 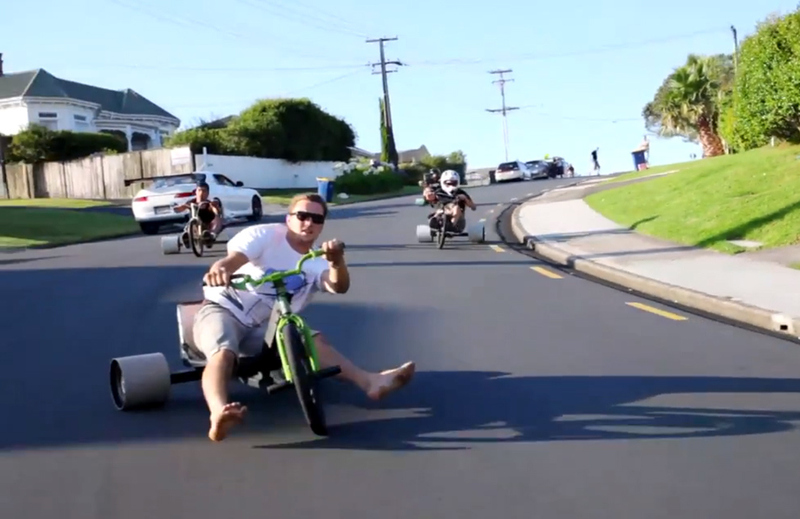 Proving that you're never too old to ride a trike, some full-grown thrill seekers invented trike drifting, adding some much needed swag to the three-wheeled vehicle. 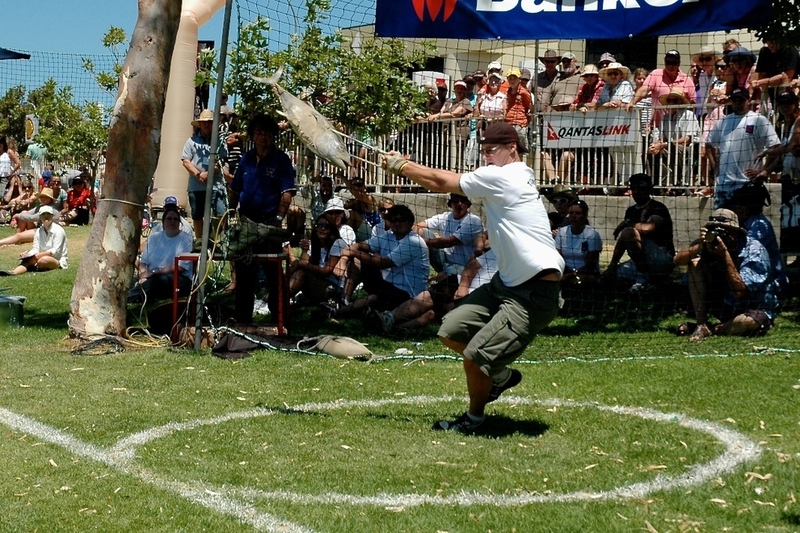 As part of the annual Tunarama fest which takes place in Port Lincoln, Australia, competitors from all over come to toss a 10 pound frozen tuna as far as they can. 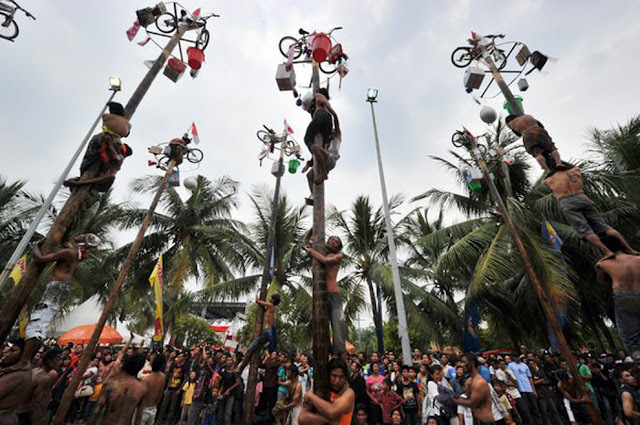 The current record for tuna tossing lies at 25 meters, or 82 feet. 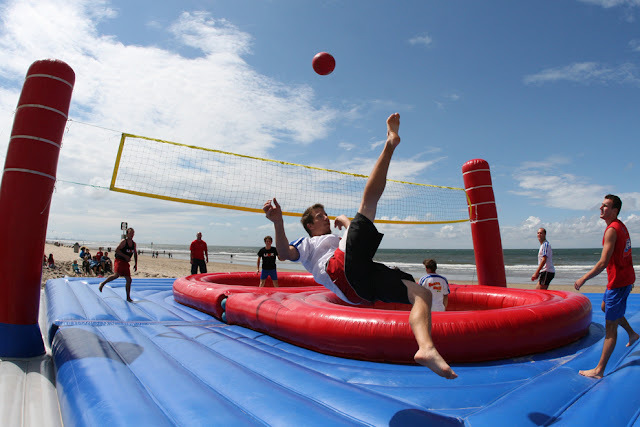 This mix of volleyball and soccer takes place atop a giant trampoline, allowing for some pretty crazy acrobatic tricks. 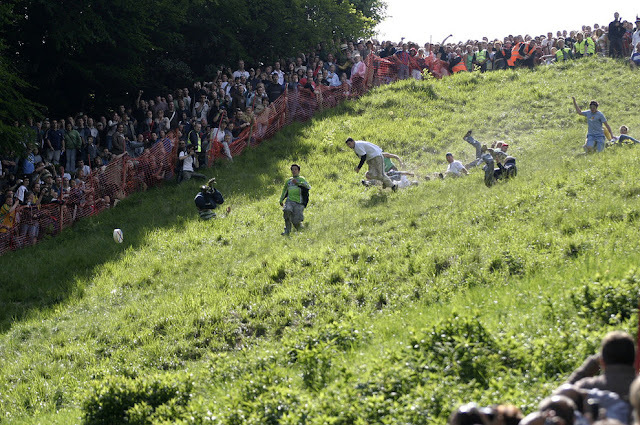 There are only two steps to the thrill of cheese rolling: 1) Roll a giant round of Double Gloucester cheese down a steep hill, 2) run after it. 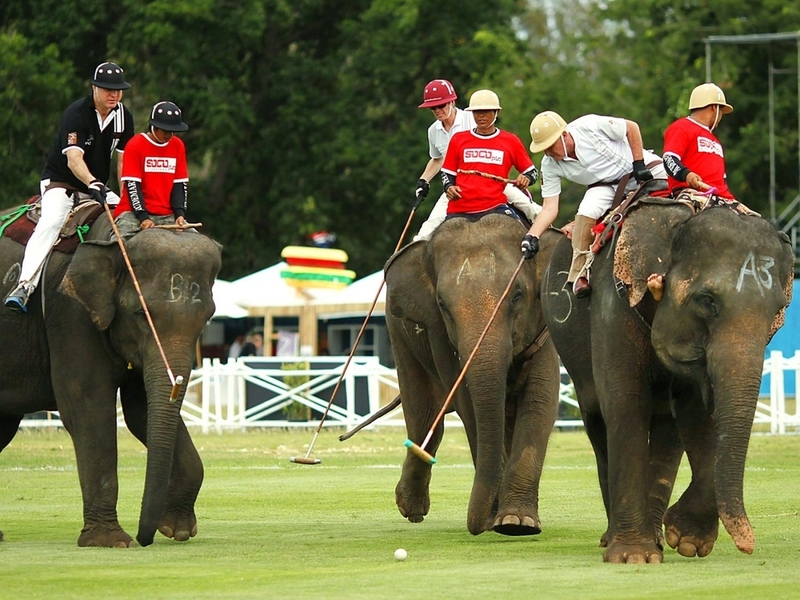 Steering an enormous animal and hitting a ball with a mallet affixed to a 6-to-10 foot pole are unique challenges in and of themselves - put them together and you get the exciting sport of Elephant Polo.